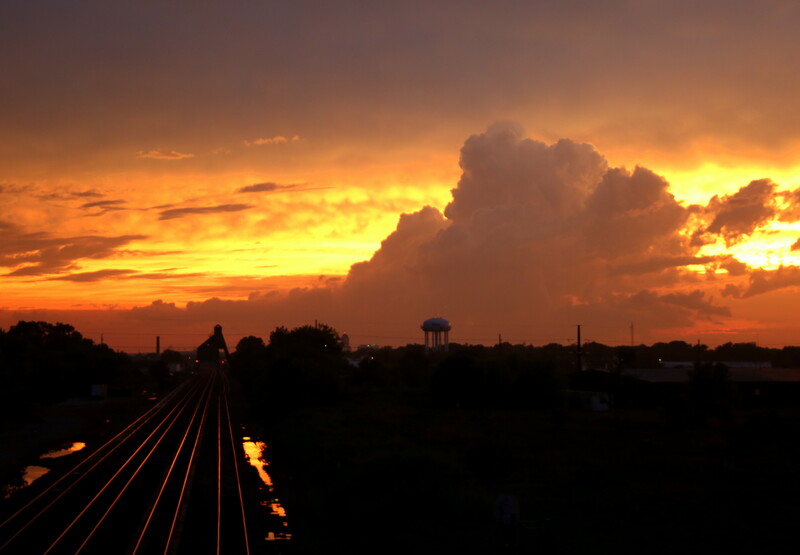 Eastbound BNSF train at Rochelle passing under the signal bridge as the sun was setting making the clouds look like fire. 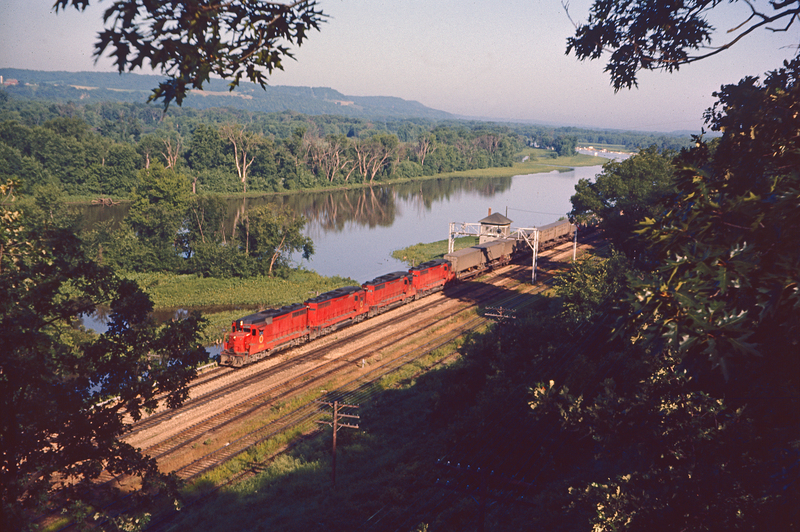 A pair of KCS GE's led a faded Warbonnet. Eastbound BNSF train at Rochelle passing under the signal bridge as thesun was setting making the clouds look like fire. 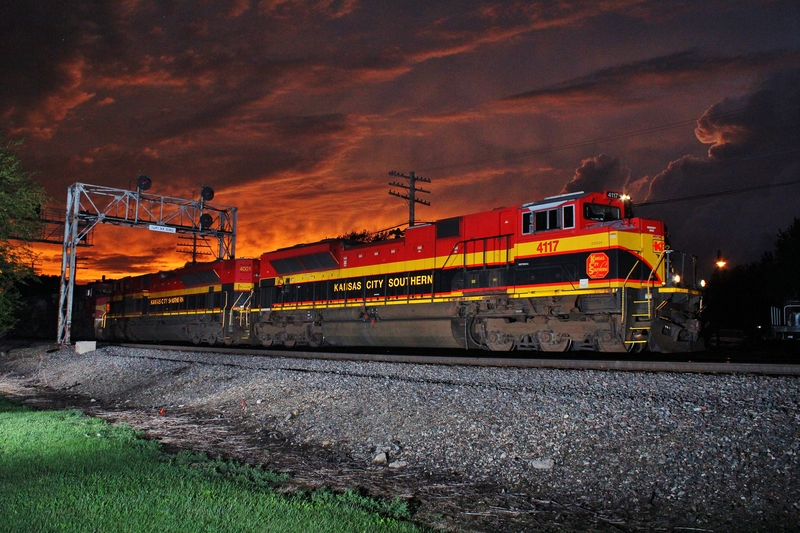 A pair of KCS GE's led a faded Warbonnet. 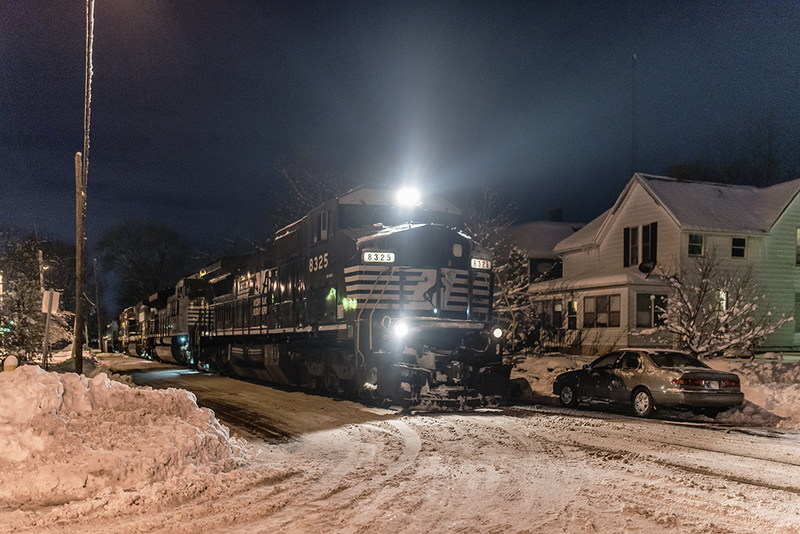 NS street running in the snow. Mike Nelson Quartet of Chicago Great Western GP-30s leading a freight at Galena Junction. 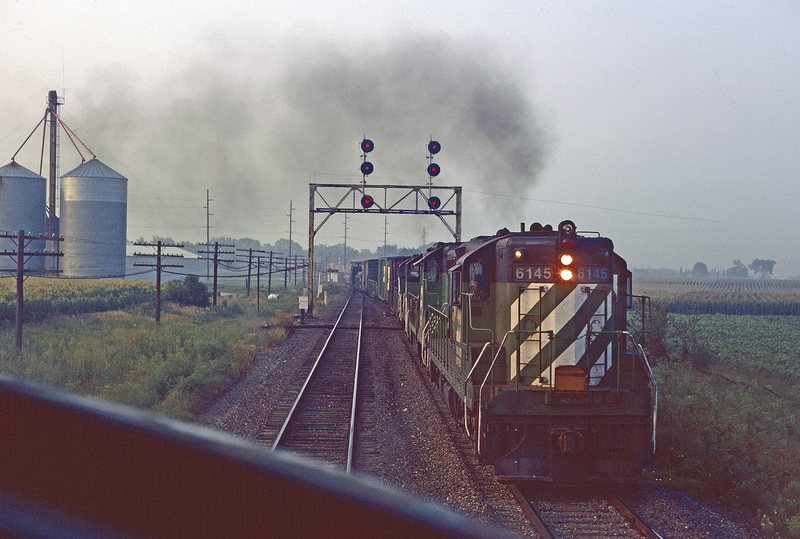 Jerry Pyfer Cab shot of a passing BN freight lead by an SD-9 at Steward Junction. 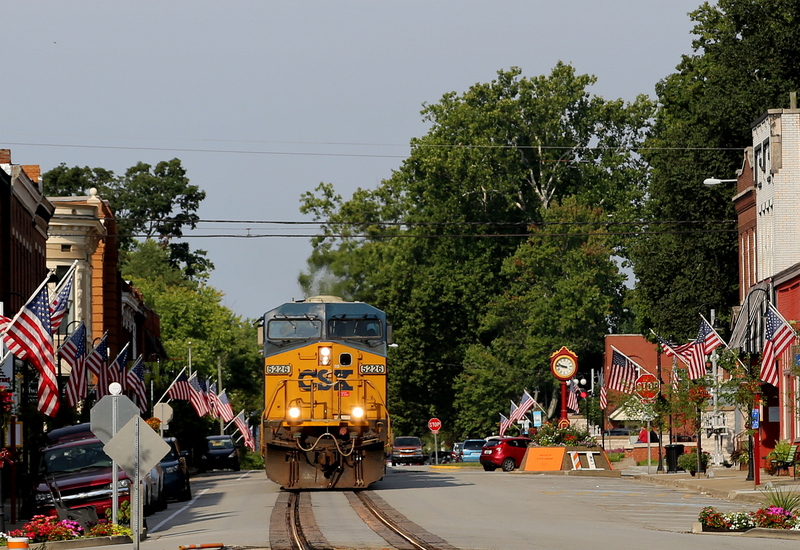 TP&W crossing the BN at Bushnell, IL. 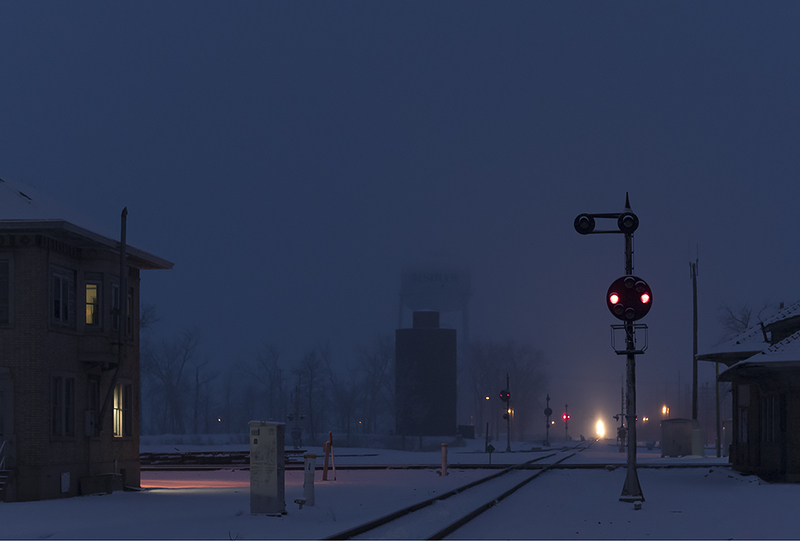 Robert Jordan B&O color position light signals in the snow in Deshler, Ohio. Jason Leverton Sunset high-lighting the clouds behind the DeKalb coal tower.